Tags: Evening Dresses, Front Open, Gown, Navy Blue, Straight Trouser, Velvet. Navy blue velvet front open gown with velvet inner shirt. Embroidered border is implemented on front open slit. Crystal stones spray all over the upper gown. 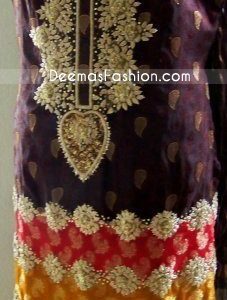 Embellished border made of kora, dabka, silver stones and tilla is implemented on bodice and hemline. Concealed with back zip closer. 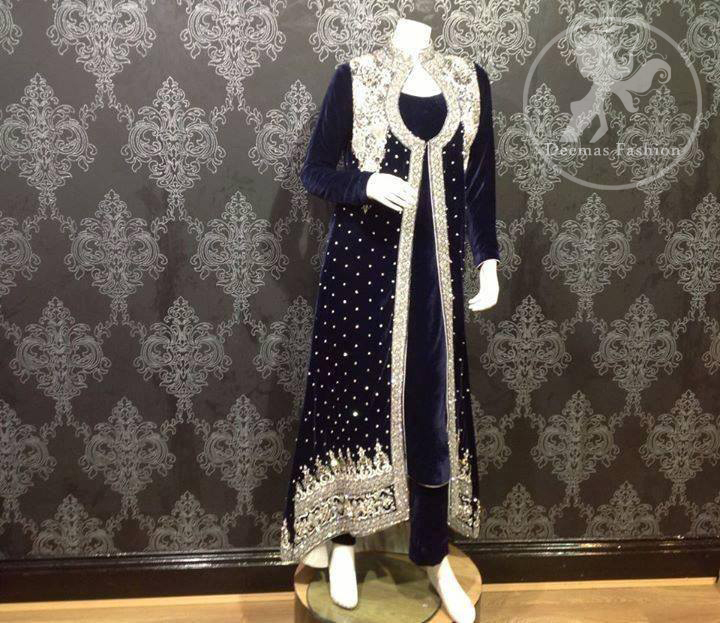 Navy blue pure chiffon dupatta. Dupatta is finished with silver banarsi piping. Navy blue pure raw-silk straight trouser.